As of 2016, Millennials have officially surpassed baby boomers as the largest living generation with 75.4 million people. When it comes to engaging your audience & donors, you simply can not ignore a group with a collective projected buying power of over $200 billion in 2017. Being able to connect with this coveted group of individuals, is becoming increasingly more important for every non-profit organization no matter their size. The ‘who’ is clear. Now, what about the ‘how’? How do we effectively and efficiently engage our millennial donors? We can come up with a vast list of potential mediums: Facebook, Twitter, Instagram, Snapchat and many many more – one that might not make your list is email. Surprised? You’re not alone. Email is the oldest digital medium still in use and Millennials love it. With “73 percent of twenty-somethings preferring communication from organizations to come via email,” we cannot ignore this lucrative engagement channel. Now all of this may seem counter-intuitive. Why? Social media wants to be synonymous with millennials. Sheryl Sandberg, Facebook COO, famously stated, “If you want to know what people like us will do tomorrow, you look at what teenagers are doing today. Email—I can’t imagine life without it—is probably going away.” The root of misconceptions regarding millennials and their email accounts stem from the fact that this age group uses technology to engage differently, just as their communication with a brand is different than their communication with their friends. When you see reports that email is in decline, it’s typically because we cite the rise in other social media outlets, but this doesn’t mean that millennials aren’t using email, they just use it differently. In fact, “Millennials are more likely than any other age group to check email from bed (70%), from the bathroom (57%) or while driving (27%)” and a survey conducted by Adobe states, that on average, Millennials are using email 6 hours a day. Clearly, email is still witnessing major success with 81% of US online shoppers more likely to make additional purchases, either online or in a store, as a result of emails. McKinsey & Company also records that, email is almost 40x better at acquiring new customers & donors than Facebook and Twitter. WANT TO WIN WITH YOUR MILLENNIAL DONORS THROUGH EMAIL? HERE ARE THE 4 THINGS YOU MUST DO. Not only is the medium in which we communicate with millennials important but also the messaging and content we are delivering, with Capterra reporting that “relevant emails drive 18 times more revenue than broadcast emails.” There is clearly a correlation with relevancy, frequency, and style when it comes to engaging millennials via email. #1 Personalization. It’s all about them. Richard Sweeney, from New Jersey Institute of Technology University Heights, states, that, “once millennials do make their choices in products and services, they expect them to have as much personalization and customization features as possible to meet their changing needs, interests, and tastes.” That’s no secret. Millennials in this day and age expect everything to be customized for them, but why shouldn’t they? We live in a world where Netflix and Pandora can serve up content that is relevant and personalized to us, so why shouldn’t we expect email to have personalized content? Studies prove, “that marketers who are using personalization to make their emails more relevant are not only getting a 2.5x higher click-through rate, but they are also generating 6x more in donations and sales from their campaigns,” it’s a no-brainer! With the “number of new or unread messages now 300% higher than it was just 4 years ago,” Nielsen Norman Group’s research has proven that we truly are all battling for the same inbox real estate. Adobe sites that, 39% of millennials wish to see fewer emails and 32% want to see fewer repetitive emails. Cutting the clutter, and sending only pertinent content, cultivates a trusting relationship with your donors. Millennials value transparent and trustworthy connections, and sending multiple urgent and irrelevant content breaks that bond. #3 Give Them More Control. Sweeney found that millennials also “desire ultimate consumer control: what they want, how and when they want it.” With such a technically inclined and media-centric group, providing millennials with engaging content is key. 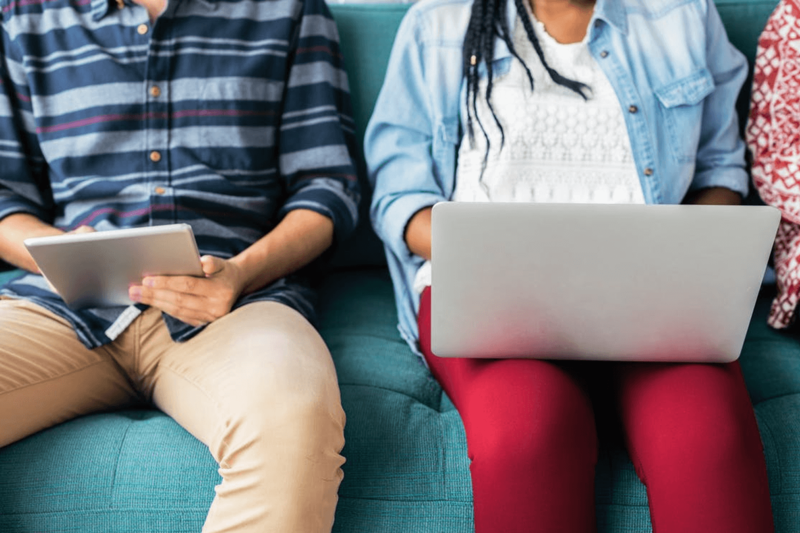 The ability to connect with millennials across multiple verticals can help develop a strong donor relationship driving more value on both ends. “We found that giving the recipient the ability to control the frequency, day and time of delivery were important for all groups but really a requirement for millennial engagement,” Kamil added. 68% of all email is now opened on a mobile device. That percentage is even higher for millennials. What does that mean for you? Your email has to be responsive (meaning it needs to look good across all devices (Android, iOS, Windows Phone, Blackberry), and platforms (desktop, tablet and mobile). Not an easy feat but, worth the investment now knowing, that’s where your audience lives. There is an incredible opportunity available for those who can lean into millennial engagement trends and for those who can define the new standard. So, why not reach the largest population segment with the relevancy, frequency, and style that they expect?